WABREK. Paul H. Wabrek, 84, of Suffield, beloved husband of Priscilla (Drake) Wabrek died Sunday, (April 23, 2006) at a local convalescent home. 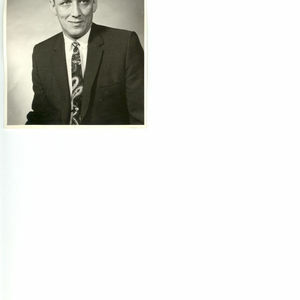 Born August 2, 1921 in New Hartford, CT son of the late Michael and Anna (Chovan) Wabrek, he lived in Windsor for 34 years before moving to Suffield in 1974. Paul served with the U.S. Army during WWII and after the war he was employed by Stanadyne where he rose through the ranks and became a great leader to more than 2500 employees who he treated all as family. After 46 years Paul retired from Stanadyne as vice president and general manager of Windsor and two South Carolina branches. He was always active in his community, he was a founder of the New England Bank and Trust of Windsor, he was president of the Windsor Chamber of Commerce and was co-chairman of the Shad Derby Auction. He was instrumental in founding the Windsor Rotary Club and was on the Executive Board of East Seal Rehabilitation Center of Greater Hartford and he served as a director of the Metropolitan Hartford YMCA Industrial Management Club Advisory Committee. Paul served on the Suffield Economic Development Commission and was a member of the Suffield Country Club. He was also a board member of his condominium in Cinnamon Cove, Ft. Myers, FL. Paul was an active member of Good Shepherd Lutheran Church, Suffield. Besides his wife, Priscilla, he is survived by two brothers, Robert Wabrek and his wife, Janice of Ft. Myers, FL, Richard Wabrek and his wife, Linda, of Randolph, MA; a sister, Dorothea Wabrek of New Hartford, CT and many nieces, nephews, grand nieces and grand nephews. Funeral services will be held Friday, April 28, 10 a.m., at Good Shepherd Lutheran Church, 585, South St., Suffield. Burial will be in Riverside Cemetery, Pleasant Valley, CT at the convenience of his family. His family will receive friends Thursday from 5-8 p.m. at Nicholson & Carmon Funeral Home, 443 East St. (Rt. 159), Suffield. In lieu of flowers donation may be made to Good Shepherd Lutheran Church, 585 South St., Suffield, CT 06078 or to Easter Seal Rehabilitation Center of Greater Hartford, 100 Deerfield Rd., Windsor, CT 06095. To leave on-line condolences please visit www.carmonfuneralhome.com.